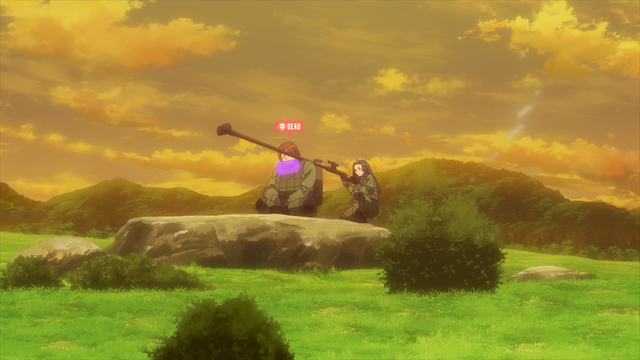 Out of all the games we're introduced to in Sword Art Online, Gun Gale Online is perhaps the closest to how real video games play. Sword Art Online II touches on this briefly, but we get a full experience of the game from Sword Art Online Alternative: Gun Gale Online. SAO Alternative demonstrates that, VR aspects aside, the way LLENN and her friends play GGO is exactly like the way people play real first person shooters. 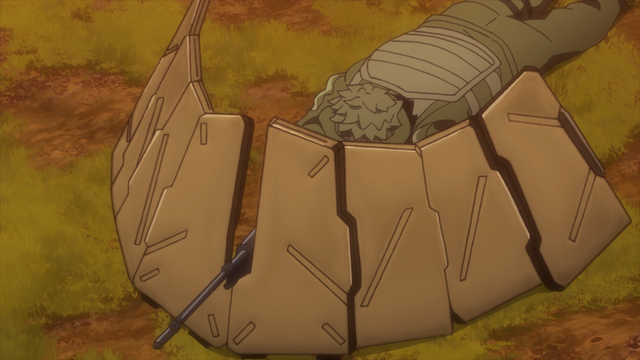 Since the bulk of the anime is set during the two Squad Jams, that's where we get to see the most of GGO's gameplay. The Squad Jam is a team-based event, meaning it isn't just about determining the best individual player; it's about determining the best team. The two may sound similar – the best team would logically be the one with the best players – but the skills used in solo play and team play are completely different. 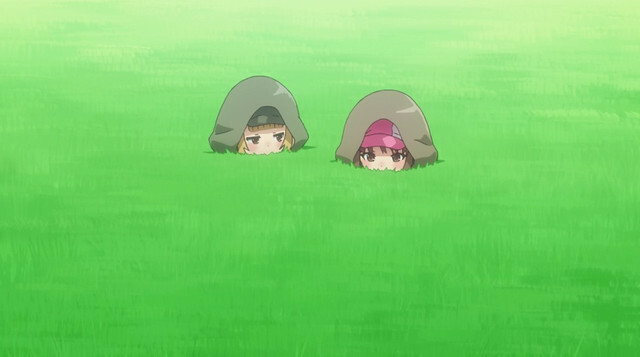 LLENN's playstyle when she's hunting other players alone involves sneaking up on them in camouflage and relying on her speed to dodge any shots they get off if they do see her. Strategies like this work fine in the kind of games where you play alone against just one or two enemies, but not in team games. In team FPS games, the mechanical skill (aim, mobility, etc.) of each individual player is of far less importance than their ability to work with the team as a whole. After all, it doesn't matter how good your aim is if you're fighting five people alone while your team is gone. Of course, having the aim to take down an enemy before they're even close enough to shoot you helps, as M amply demonstrates, but mechanical skill alone isn't the only way to win. Strategy and coordination can more than make up for a skill difference, as seen in LLENN and M's first engagement against a team with real-life combat experience during the first Squad Jam. LLENN and M are both skilled players in their own right, but their opponents clearly outclass them in terms of both skill and raw numbers. 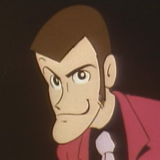 In spite of that, LLENN and M are able to defeat them by outsmarting them. Using the satellite scan to make their enemies think they were in an exposed position, LLENN and M are able to lure the pros into exposing themselves at close range, right where LLENN has the greatest advantage. Unlike the ill-fated All-Japan Machine Gun Lovers, the pros aren't able to pick LLENN off at long range since she starts out in her optimal range rather than theirs. With the advantage of a superior position, LLENN is able to take advantage of her speed mow down the pro team in spite of being less experienced them. The lesson here is that proper strategy and teamwork counts for more than raw skill. 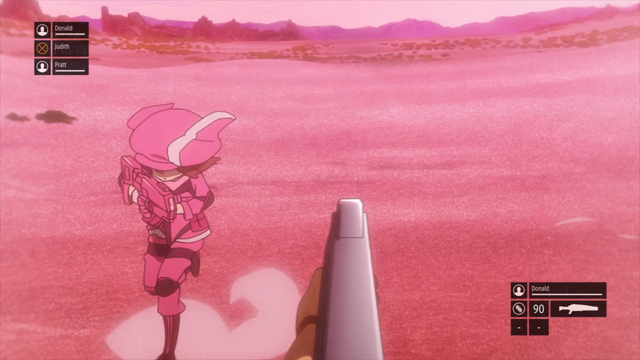 LLENN and Fuka demonstrate the same concept later on when they're confronting an enemy team in the second Squad Jam.By having Fuka stay back and launch grenades from behind a building while LLENN acts as a spotter, the two of them eliminate an entire enemy team without even engaging them directly. Note that the defining factors in the engagement aren't aim or movement ability, but teamwork and positioning. Fuka engages from a position where the enemy team can't see her, but she can still use her weapon to shoot blindly over the building. With LLENN telling her where to shoot, she's able to take advantage of her position in a way that the enemy team isn't. Of course, FPS games aren't all strategizing. Beyond scheming in advance of an engagement, there's also a lot of fun to be had in abusing game mechanics in a way that may not have been intended. SHINC amply demonstrates this with their strategy for crossing the open ground in front of Pito and M's position. M has a better position that allows him to snipe them without letting SHINC set up to counter-snipe him. SHINC counters this by having one member intentionally sacrifice herself while sitting in a position that blocks M's view. Since corpses in the Squad Jam remain as immortal objects, her body acts as indestructible cover for her team to counter-snipe M without exposing themselves. Every game has tricks like this that might not have been planned for by the developers, but there's a certain thrill that comes from toying with the game to completely surprise your opponents. Winning like that may come off as cheap, but all's fair in love and gaming. 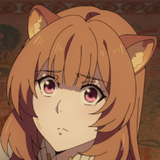 Including concepts like this isn't just SAO Alternative adding color to its world; it's a big part of the show's appeal. 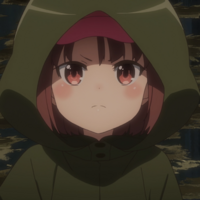 Seeing LLENN and her friends coming up with a strategy and using it to outsmart the enemy team gives the same thrill as watching someone in a gaming stream do the same thing. One of the biggest thrills in a team-based FPS is executing a strategy with your team and seeing the enemy team completely fall for it. 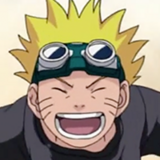 Watching a gaming stream can sometimes vicariously give the same thrill. 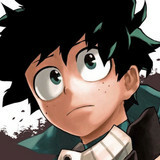 We may not be able to play (yet!) or watch streams of GGO, but SAO Alternative does a good job of giving the same experience. 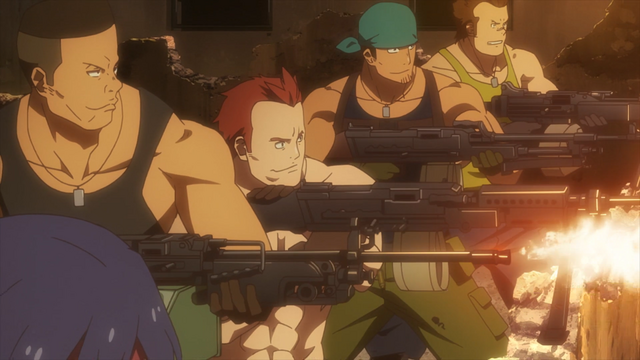 Now that the show's over, what did you think about Sword Art Online Alternative: Gun Gale Online and the way it portrayed its FPS game? 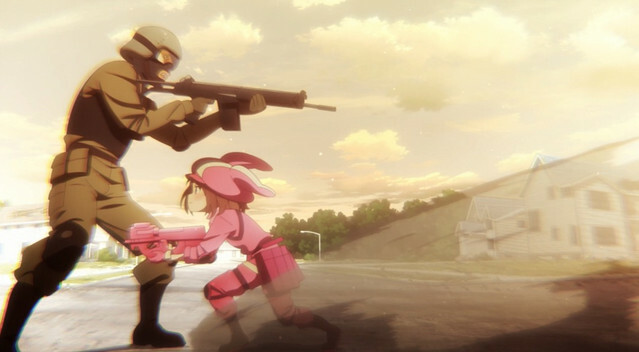 Is GGO a game you'd like to play yourself when full-dive video games are finally invented?